Advanced Analytics | RedGiant Analytics, Inc. In this constrained business environment, it can be very difficult to understand what the best steps are toward meeting your most important business goals and objectives. It is not like there are unlimited resources that can be thrown at every problem or opportunity. Difficult choices among alternatives must be made to create the most positive business outcomes. Traditional methods – personal experience and intuition – while indispensable, can only go so deep and so far. Advanced Analytics are a form of Business Analytics that focus on predicting future events and, in turn, finding the best path to business success. Advanced Analytics is the science of monitoring and understanding past performance and using that knowledge and insight to quantitatively predict and optimize future business outcomes. Using internal information and select external data sources, it is possible to statistically iterate the data in a way to not just know what happened, but also why – including correlating and causal factors. From there, predictive models can be developed to create a view of what is most likely to happen given various circumstances or alternative approaches. Knowing what is likely to happen and what resource constraints there may be, models can be created to give guidance as to what to do and in what order to create the best business outcome – taking into account such things as business strategies, available resources, market forces, customer preferences, and physical reality. Advanced Analytics create profound insights that can transform business performance – all in an automated way, sifting through facts buried in millions of transactions and other records. They can for example, reveal customer preferences, create next best offers, minimize churn, and maximize customer lifetime value. 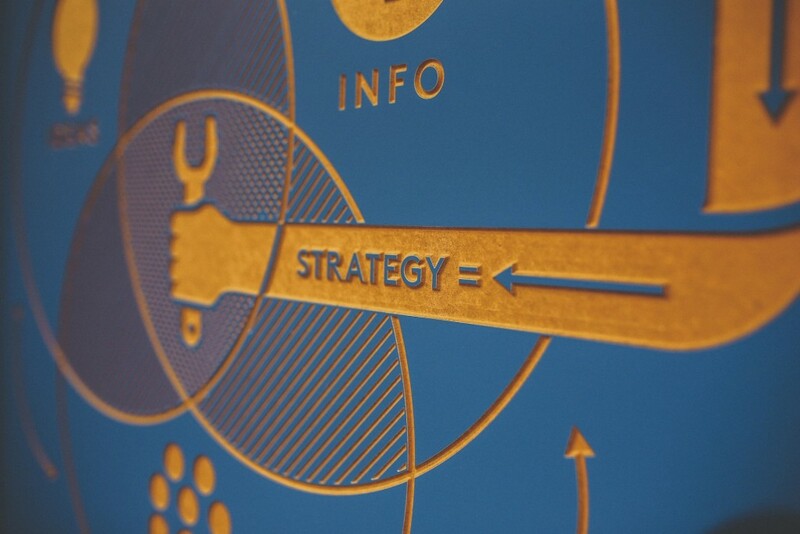 Advanced analytics do not pertain solely to customers and markets. In the field and on the factory floor, these tools and techniques translate sensor readings into prescriptive preventive maintenance, asset optimization, predictive strategic planning, and enhanced situational awareness and assessment. Advanced Analytics can do such widely different things such to help detect fraud, improve health outcomes, and enhance customer service. More than that, the value of Analytics is quantifiable. There are many case study examples that have shown a return on investment (ROI) ranging from 55% (customer analytics) to 145% (predictive analytics) to 277% (financial management). The biggest ROI comes when organizations make strategic use of analytics that predict and optimize future business outcomes. This ROI is not lost on business leadership. More than 80% of CEO’s and CIO’s believe that business analytics are essential to their business’s competitiveness going forward. At the same time, only 20% of CEO’s see that business analytics are integral across their organizations. For most businesses, especially small and mid sized businesses, the use of predictive and optimization analytics is limited. 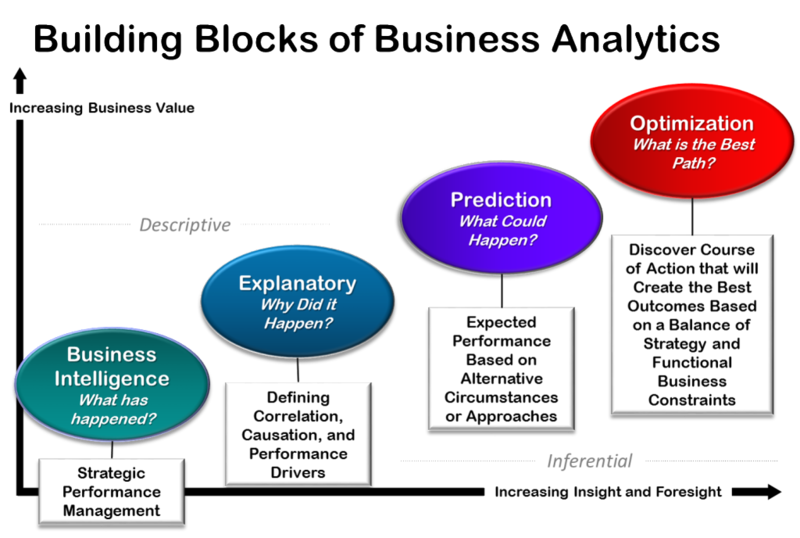 This gap offers those who pursue an Advanced Analytics strategy the opportunity for a profound competitive advantage. Even though most business perform some measure of data analysis to support key decision-making, for most there are even greater opportunities and rewards with Advanced Analytics.